Home Moto Rossi's father: "He can be running until he is 46, for sure"
When the traffic light goes out in Qatar, there will be a pilot who will start the World Cup with no less than 40 years. 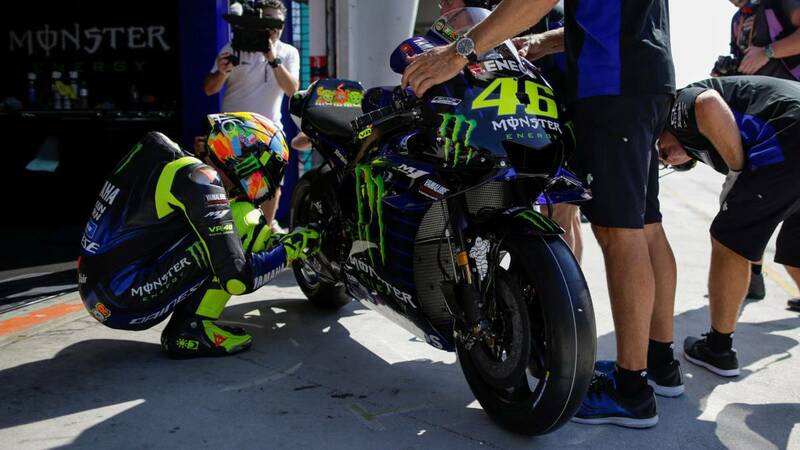 It will be the twentieth season of Rossi in the premier category, without a doubt, something out of the ordinary. There have been pilots who after the forties were still competing, but the normal thing was to see them on four wheels, not on two. According to the contract he signed with Yamaha, he has another year on the grid, but someone who knows him very well, his father Graziano, believes that his retirement is even further. "Surely, he can run until he is 46 years old ", says in the 'Corriere della Sera', contemplating the possibility that its age coincided with its dorsal, something that would be magical for many. Being able to continue competing at that age is only for the elect, and his son is: "The desire to stay young is in the blood of each man, but then you have to succeed like him, blocking the passage of age. is that it has improved, it is like ten years ago, like when it was at its best. A subtle but fundamental distinction. " What is it that makes you able to continue competing at the highest level for so long? This is his father's response: "The adrenaline of riding a motorcycle and overtaking, the satisfaction of going to sleep saying: today I did the best I could and I'm a little better than yesterday" . This Saturday, the 16th, Valentino will celebrate his 40th birthday and this is what his father wishes: "To be present at the beginning of the World Cup as if he were a child who has just arrived from the Italian championship, as if it were his first race, with the same spirit, lightness and curiosity of that time. .. ".